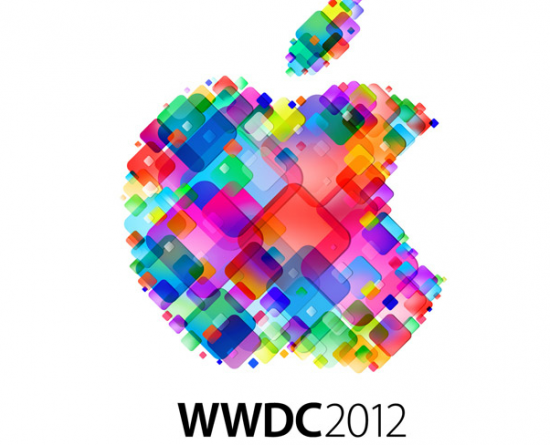 When it comes to Apple hardware, the buzz is usually about the new iPhone or the new iPad. Apple didn't get into either of those at WWDC 2012, but it did announce a whole bunch of new laptop tech that's sure to get everyone salivating. Along with new versions of the MacBook Air and the MacBook Pro, Apple has announced an entirely new line of MacBooks, and boy do they ever look pretty. On top of that, they're all shipping today. Let's have a look at the specs, shall we? Today, the DigiTimes ran an article which proclaims that Apple will start selling its MacBook Air for $799 -- $200 less than the ultra-slim notebook currently sells for -- because of the rising threat posed by PC ultrabooks. The report says that the super cheap computer would be on sale starting in the third quarter of 2012. However, that's almost certainly not going to happen, at least not as described. 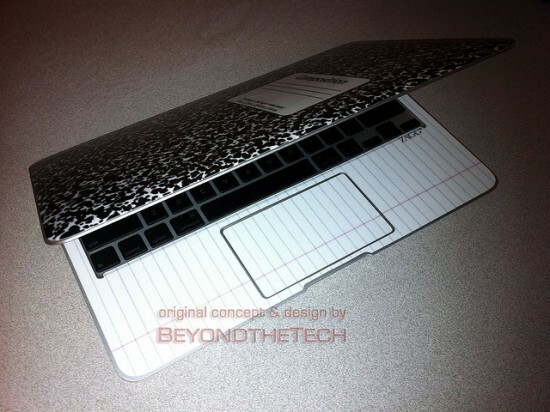 BeyondTheTech has devised a sleek skinmod to complement the MacBook Air's razor-thin profile: The familiar black-and-white mottle of a grade-school composition notebook. The OCD among you will notice that the pink line on the lined page is on the wrong side, but as Core77 points out, this is actually a handy way of marking the useable part of the trackpad. 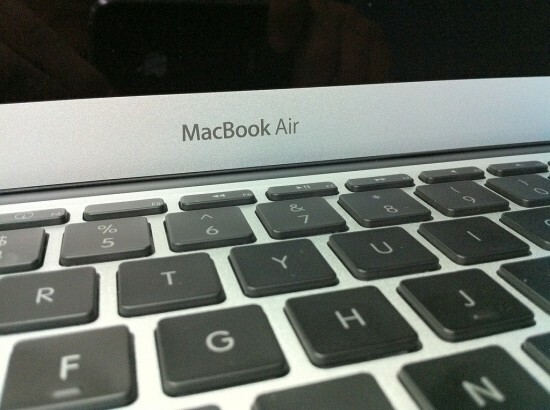 If Three Guys and a Podcast's report holds true, the next iteration of the MacBook Pro will release in April 2011, featuring solid-state drives, and will dispense with optical drives, like the recent version of the MacBook Air. 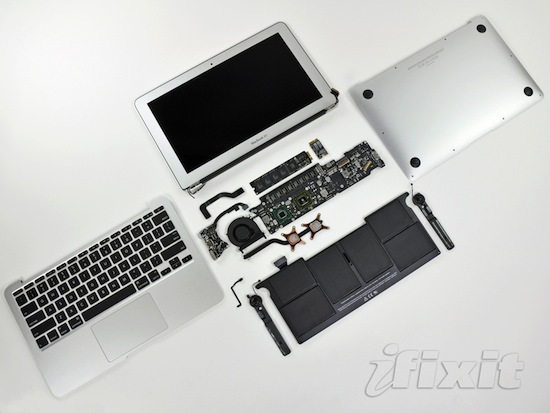 It is also speculated that the new MacBooks may feature Intel's Light Peak optical cabling, which is supposed to be a universal bus to replace various buses, such as SATA, USB, HDMI, PCI Express and FireWire. 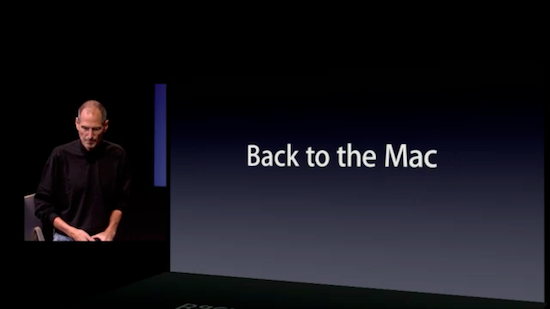 Apple held its "Back to the Mac" event and streamed it across the Internet for all to see. The big announcements were a new iLife suite, FaceTime coming to OS X, a new version of OS X dubbed "Lion," a new MacBook Air, and the Mac App Store. Head past the jump for details and screenshots. Apple's Back to the Mac announcement is scheduled to begin at 1pm EDT: While some details of the announcement appear to have leaked via Apple's forums, including a new MacBook Air, iLife '11, and a possible mystery product, no one yet knows for certain what's in store. It seems pretty likely that the announcement will tease a new version of Mac OS X, tentatively known as "Lion" to the blogosphere thanks to the promotional picture Apple sent out last week (left); however, it's unclear whether that'd be ready to go on people's computers anytime soon or would merely be a sneak peek, consistent with Apple's schedule of releasing the past three updates two years apart each; then again, the rules may be different now. Update: We've written a comprehensive roundup of all the big announcements this afternoon. 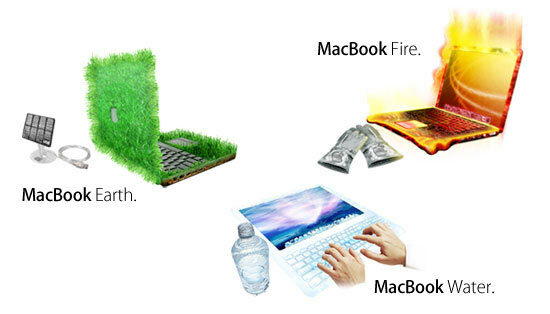 Who Needs the New MacBook Air When You Can Have a MacBook Earth, Water, or Fire? 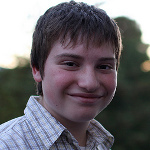 This week, TechCrunch suspended Daniel Brusilovsky, an intern in the throes of his Senior year of high school, for requesting a Macbook Air in exchange for writing a post about a start-up. When a further investigation revealed that Brusilovsky had received under-the-table compensation -- including another computer -- for previous posts, they fired him.